Hey guys! How do you feel about Valentine’s Day? Life can be ho-hum sometimes so any holiday that comes along I love celebrating. It’s nice to spice things up a little. Plus a holiday that celebrates love?!? Yes please! 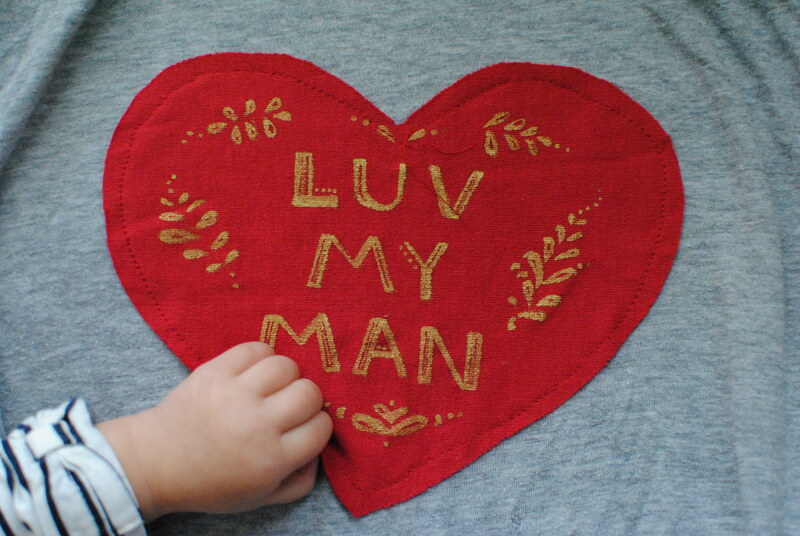 So here’s a fun craft you can do in celebration of that special love day! This craft is a heart pocket pillow that you can also collaborate doing with your toddler if you want. 1. Depending on what size pillow insert/form cut (2) pieces of fabric 1″ larger than pillow to make pillow cover. I had a 14″ x 14″ pillow so I cut out (2) squares 15″ x 15″. 2. Have toddler paint on fabric. I used black fabric and had Nola paint with white paint. I just had her paint a large section of fabric. 3. 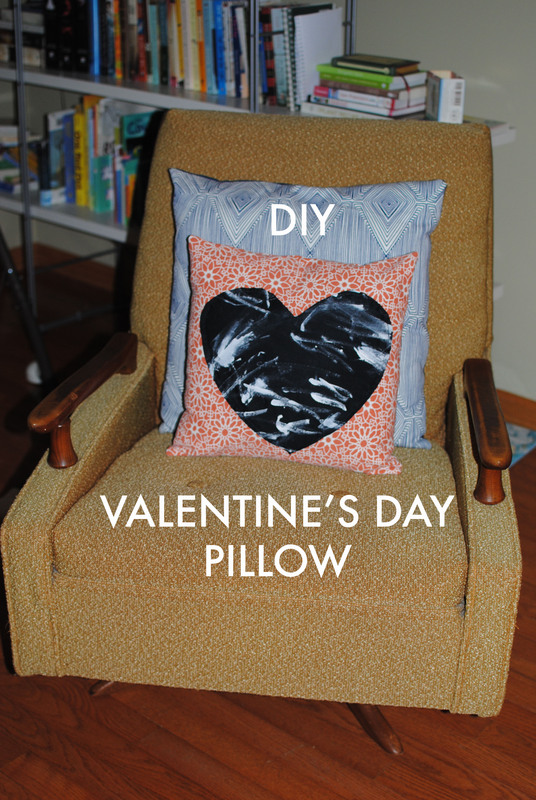 After paint has dried, cut out a heart smaller than the pillow cover. Follow instructions according to what’s on the fabric paint’s bottle to heat set and ensure paint is permanent, mine called for ironing. 4. 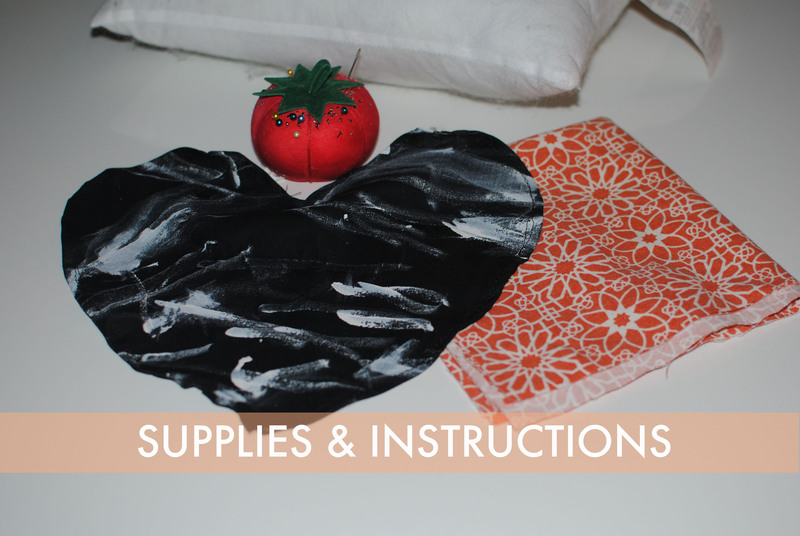 Hem around the around the perimeter of the heart to prevent the fabric from fraying. 5. Next sew heart onto pillow following the hem stitch. Leave opening at the top of the heart to allow for pocket. 6. 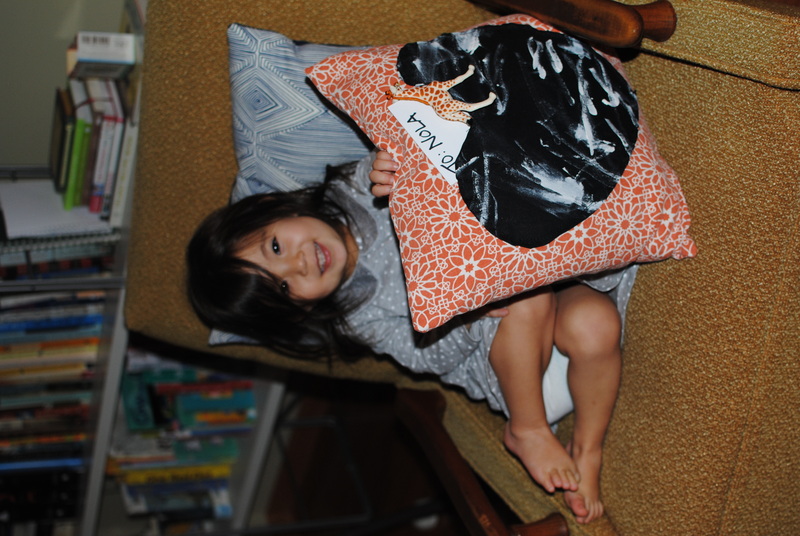 Now you can sew the pillow cover. Have backside of fabric facing out and sew pillow pieces together allowing a 1/2″ seam allowance. Leave approximately a 5″ opening to insert pillow. 7. After pillow is inserted use a hidden stitch with needle and thread to close up opening. 8. Set out pillow and put a love note and a treat for the special people in your home! I think this pillow is adorable and since I don’t think it looks like typical Valentine’s Day decor I plan on having it out year round. 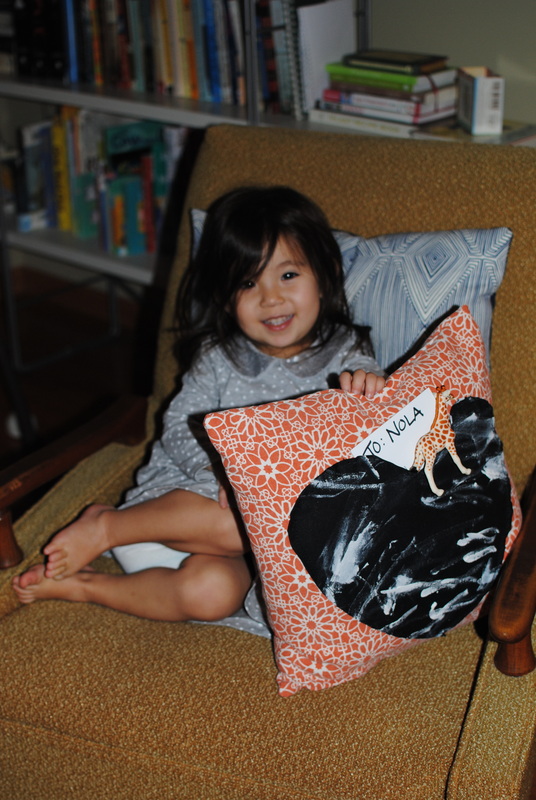 And can I just say Nola’s painting, not only does it make this pillow more special, but I love how abstract it came out!! I plan on slipping some notes and treats to my guy, Nola and guests when they come. I think it will be a lot of fun! Happy Valentine’s Day friends! 1. Add approx. 1/4 cup of rubbing alcohol to each color of food coloring you are using. The amount of food coloring is more trial and error, I used the gel food coloring and ended up using quite a bit because I wanted my pasta to be as vibrant as possible. 2. Make sure the rubbing alcohol and food coloring is thoroughly mixed together and set aside. 3. Divide half a box of pasta into a gallon ziploc bag, which allows the pasta to not be overcrowded in each bag. 4. Pour each food coloring and rubbing alcohol mixture into one of the ziploc bags, seal it up and shake and spread mixture throughout pasta in bag. This could be a great task for maybe a 3 year old? Not something I had my 2 year old do however. If you have your little one help, double bag!! Continue doing step #2 with however many colors you are doing, I did four. 5. Set the bags of pasta onto baking sheets, spreading pasta out in one layer. Let it set in the bag for an hour so the pasta can really absorb the color. 6. Line baking pans with parchment paper or tin foil and pour pasta out of the bags and spread out. 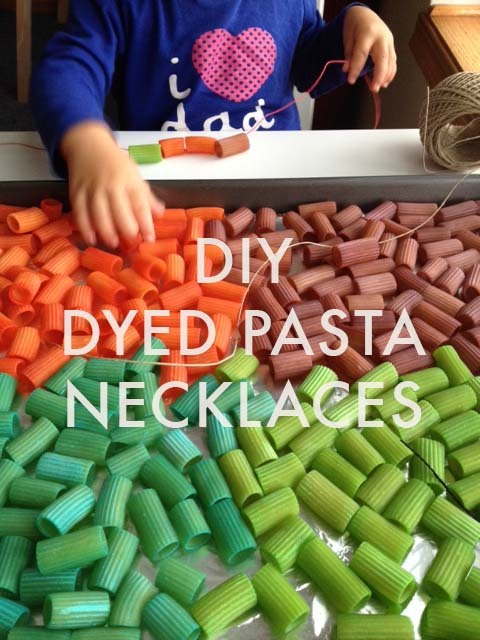 The pasta should be dry in 1 to 2 hours. I set mine out overnight. 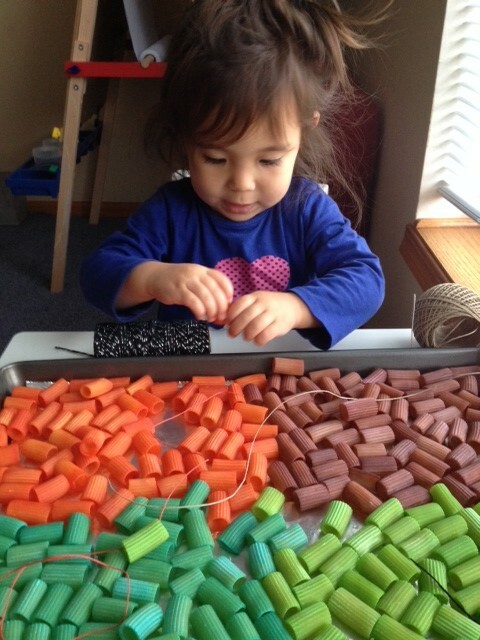 Nola was really intrigued by the colorful pasta and excited to make the necklaces, however 10 minutes into the project she had enough of it. 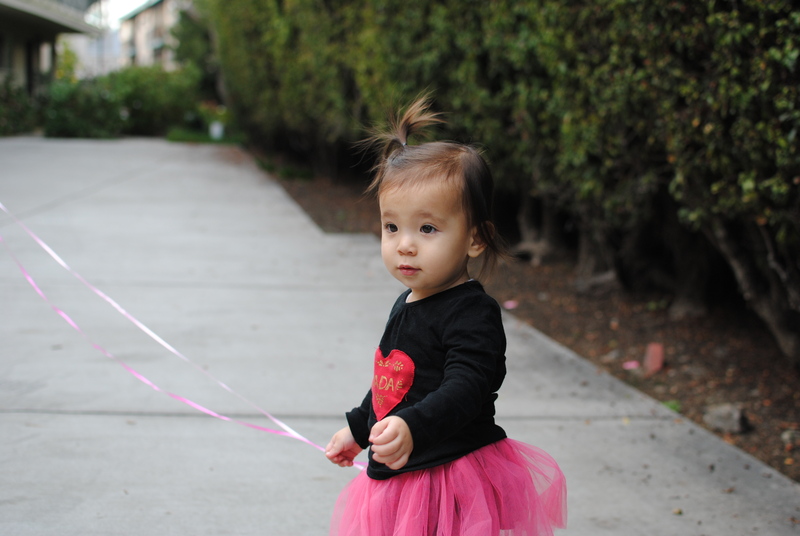 Which lets be honest, sometimes after getting everything ready you question was it worth it? But what was great was that later that day she did it again with CJ and seemed to really enjoy it! We just keep the pasta out and whenever she feels like it we set it all out. 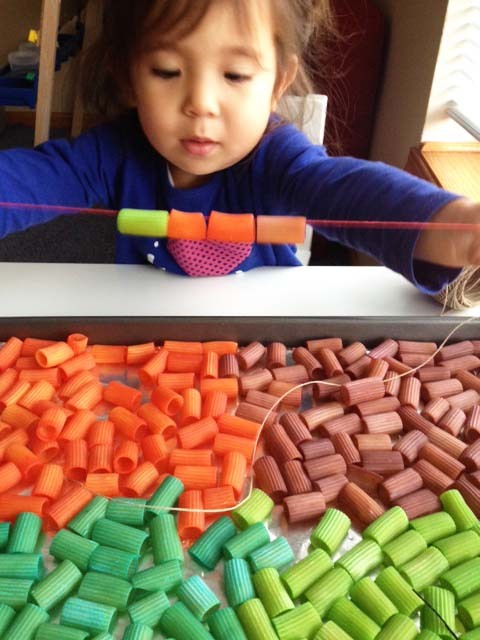 This is a great project that requires them to use their motor skills. We also told her to make some necklaces for her cousins which she was excited about. Yay for teaching them young how fun it is to make something for others, am I right? For Valentine’s Day I wanted to do something special for the number one guy in Nola and my life. So I made these very simple shirts to tell the world how much we dig our guy. To top it off it was very easy to put together and didn’t take a lot of time! I know this was something I did for Valentine’s Day, but I’m still sharing it because this is something you can do for any special event and personalize it with a fun quote, a person’s name, really the ideas are endless! 1. Cut out desired shape and size of heart from a piece of paper (always position it on shirt so you can adjust accordingly). Trace heart onto Red Fabric and cut out. 2. Follow instructions per Heat and Bond you purchase and iron heart to desired location on t-shirt. I did not do this step, but I highly recommend it to ensure the fabric lies flat and there’s no bubbling. 3. 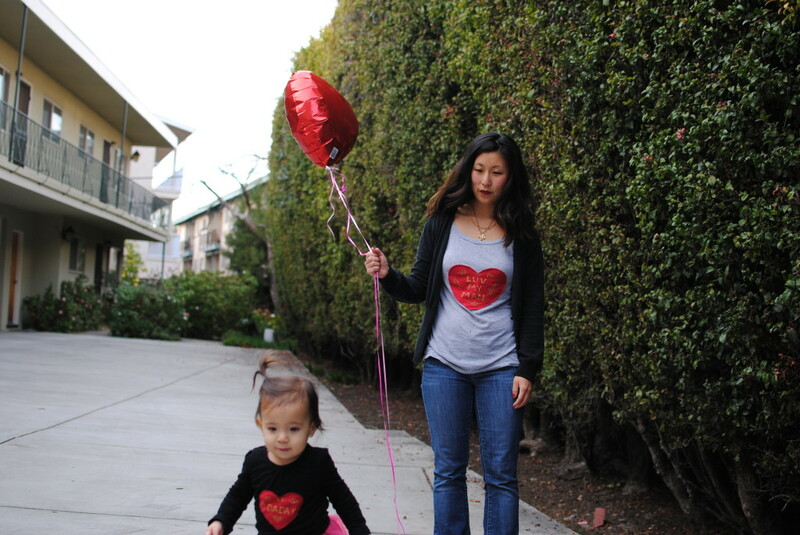 Sew heart onto t-shirt, follow the outer edge of heart leaving 1/4″ inch from outer edge. This step is not necessary if you do step 2, but if you have a sewing machine I recommend this step to give it a more tailored look. 5. 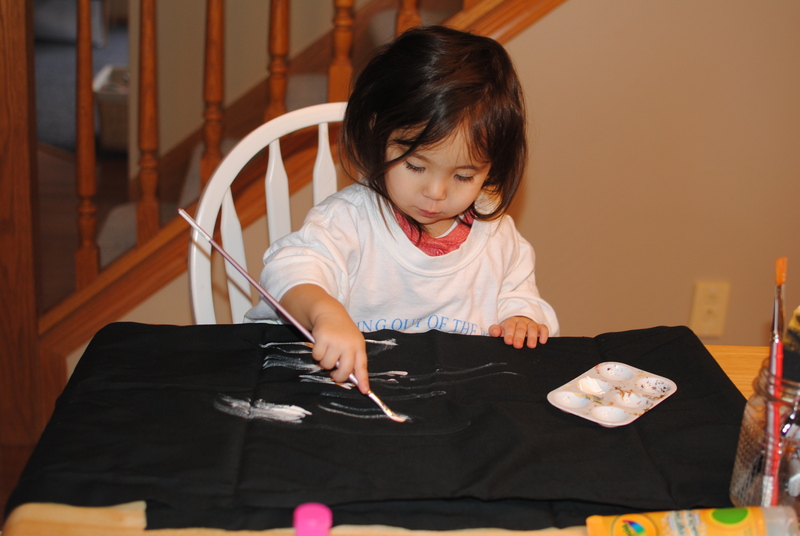 Wait for the paint to dry and wear your shirt with pride!! As you can these are not perfect by any means, but I still liked how they turned and it was fun to do! this photo best represents how I do things during the day, ha! I can’t believe it’s October already! 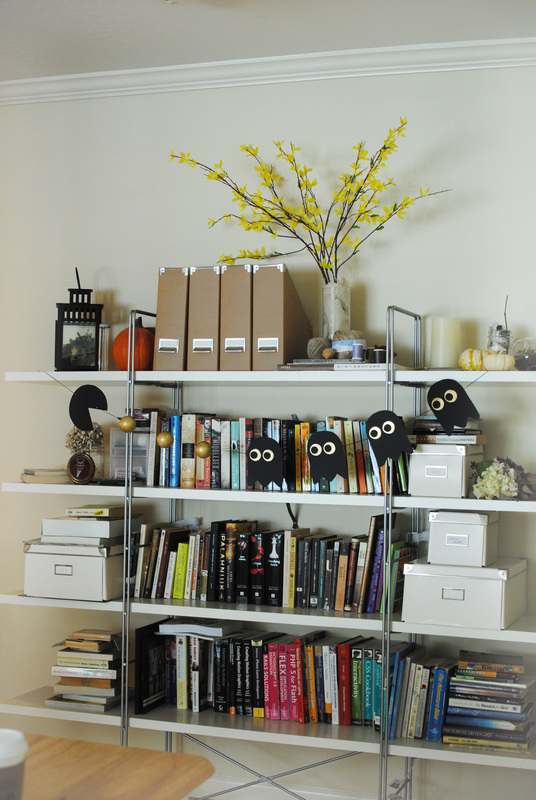 To get into the season I came up with a DIY Halloween Pac-Man Garland. What can I say, we love Pac-Man in our family :). 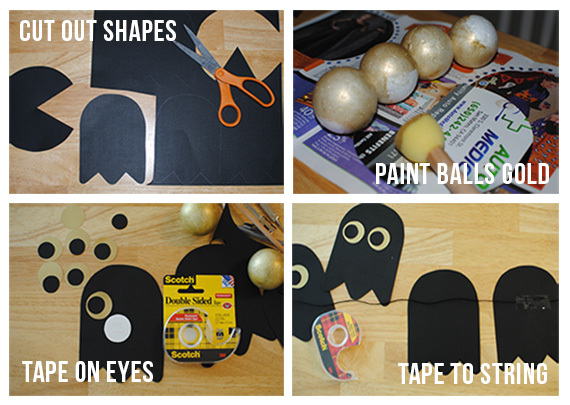 Step 1: Print the template, cut out shapes and trace (1) pac-man, (4) ghosts and (4) pupils on black card stock and (4) eyeballs on gold card stock. Step 2: Paint or spray paint foam balls gold. Step 3: Use double sided tape to make eyes and attach to ghosts. Step 4: Thread needle with black embroidery thread. Arrange how you want the sequence to be. Mine was in this order: pac-man, (3) balls, (4) ghosts. Once situated, tape the string to the back of the characters and string the balls. 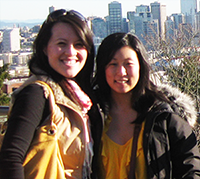 Thanks for letting me share this with you! And hope you have a great weekend! We are hopefully planning to go into the city and do some exploring.